If you’re in Winston Salem and craving Authentic New York-Style Thin Crust Pizza, stop by our original pizzeria location at 1140 Burke Street. Since 2003, we have been a staple of the Winston Salem Community serving New York-Style Pizza, hero sandwiches, wings and salads. Whether you live downtown or in Ardmore, the Historic West End, or Buena Vista, we’re just minutes away. With plenty of off-street parking, what could be easier? 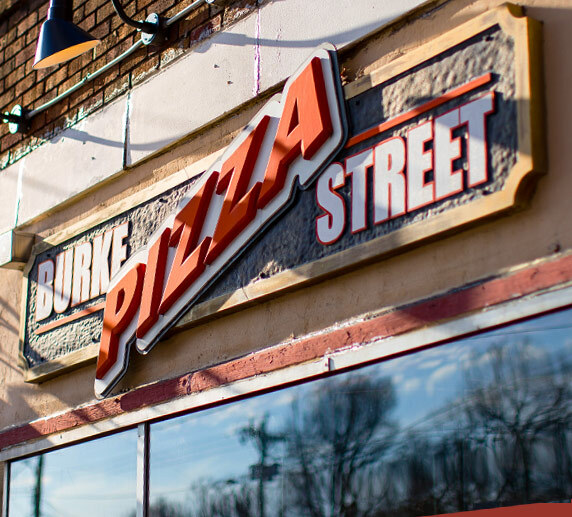 Burke Street Pizza is open for lunch, dinner, and late night… always there for you and serving pizza by the slice till close! 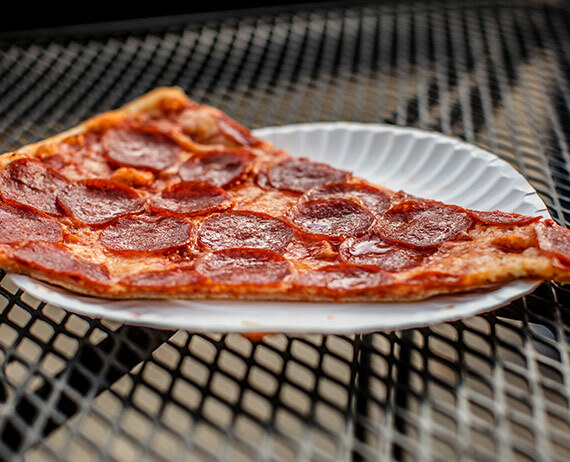 So you can fill up on one of our authentic, huge, New York-style pizza slices and end the night on a delicious note. We’d love for you to come pay us a visit, but if you’d prefer, we’ll deliver our hot delicious food to you. Whether you want to drop by our Burke Street location or have your New York-style pizza delivered, you can place your order online by clicking the link below!